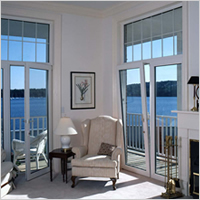 There are 5 window types and some can be mixed into various combinations within a single frame. All windows are welded at the corners and contain steel reinforcements inside the profiles for maximum strength and durability. Our windows and doors are manufactured to size in our factory. Tilt & Turn windows are inward opening only and tilt open inwards rotating from the bottom edge and also open sideways like a regular hinged window. 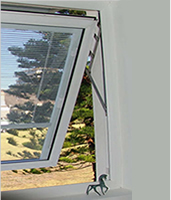 Tilt & Turn windows seal and lock on all four side offering excellent noise reduction and security. Casement windows swing open sideways. They can be fitted with all glass types and can be used in combination with Fixed, Tilt & Turn and Awning window types. Sliding windows slide open across a fixed section. They can be fitted will all glass types. Sliding windows come in 2, 3 & 4 panel combinations.